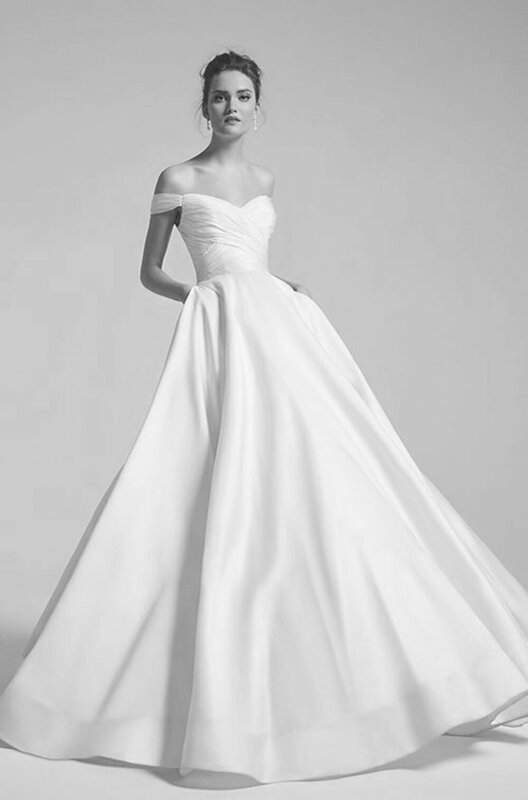 "Since the company's founding in January of 1999, Anne Barge wedding gowns have been renowned for combing timeless elegance with current trends for the discerning bride. The launch of Anne Barge established the perfect blend of contemporary and classic styles, with the use of the finest materials and detailed beading with modern interpretations of shapes and embellishments found in vintage couture designs throughout history. Anne Barge Couture gowns are singular in their attention to intricately embellished stylings using French laces, Italian silk fabrics, and delicately hand-beaded embroideries. The Anne Barge Couture collection references romantically classic details and elegant stylings with a meticulous focus on fit interpreted for the modern bride. Anne Barge's design philosophy is simple - "Good design is timeless."